Will the real Prince Ali please stand up? 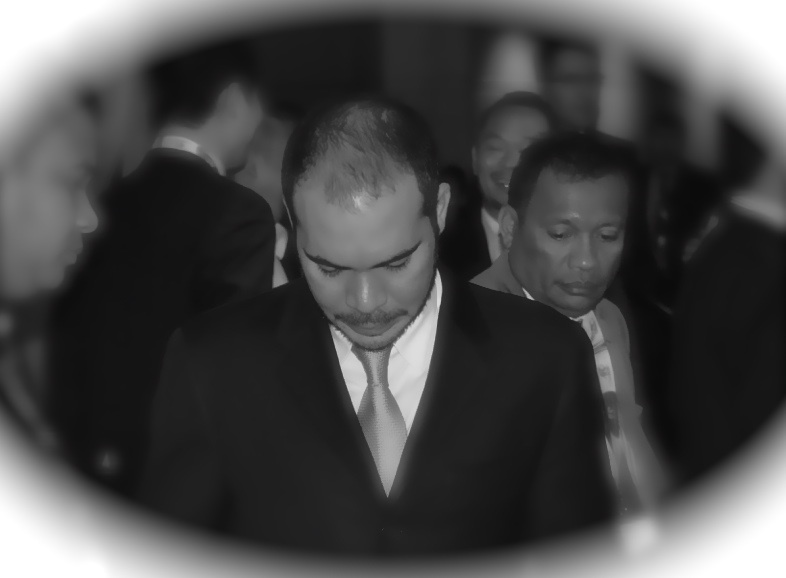 When I caught up with Prince Ali Bin Hussein at the launch of his 2016 FIFA presidential manifesto in London last week, it was a day short of five years since I’d first encountered him. That was in Doha at the 24th AFC Congress where he was standing for election as a FIFA vice-president against Korea’s Dr Chung Mong-joon. Chung was arrogant, preening and hugely influential within FIFA as well as being a vice-president his family business, Hyundai, a FIFA sponsor. He had an eye on FIFA’s top job – and seemed at the time an insurmountable opponent. And yet Ali, against all expectations, won. Certainly his profile at that time was low to the point of most people knowing little of what he stood for. Interviewing Ali the morning after that victory he was circumspect to the point of saying almost nothing at all. I teased out of him that he was an Arsenal supporter and he spoke in the usual platitudes of the graceful victor, but said nothing of any great note. Fast forward six months to June 2011 and we’re sitting on the verandah of the Jordanian FA headquarters in Amman. The prince is relaxed and expansive on his home turf, swapping stories and giving a genuine insight into what it is like to sit at football’s top table. Mohammed Bin Hammam had just fallen as the head of the AFC after a bribery scandal and the organisation was in chaos. Ali talked of his own role within the AFC in trying to expunge this crisis and clean the body. He says the right things, he seems to be doing the right things. His forcefulness on the issue will result in PWC’s audit report of the AFC’s affairs, the raw documentation of which – when leaked – goes on to form the basis of The Sunday Times’s extraordinary ‘FIFA Files’ investigation. Indirectly – although he would never acknowledge it – Ali has given the world its greatest insight into how football politics really works. But when the tape recorder went on that afternoon in Amman, he said almost nothing on the record. This a habit that is repeated time and again. Open and engaging in person, Ali has shown a commendable single-mindedness and defiance of former allies such as Sepp Blatter and Sheikh Ahmad al-Sabah. But his public pronouncements lack sparkle. In interviews he repeatedly talks of being a ‘listener’, of ‘listening to federations’, which is all well and good but overlooks, firstly, that if he wants to be a global football leader he needs to set his agenda more expansively. Secondly it ignores the discernable contribution he has made to the game in Asia. From his work with the Asian Football Development Project, his attempts to clear up Asian football (which seem to have drawn to a halt the day that Sheikh Salman became head of the AFC), through to his role as the head of Jordan’s FA (they got within a play off of qualifying for the 2014 World Cup and made last year’s AFC Asian Cup finals) there is a lot to talk about. Whether it is royal reserve or a natural modesty he seems to be a man perpetually holding back. Now that Ali again wants to lead a FIFA organisation teetering ever nearer to the abyss the need for a plan has never been greater. But other than identifying problems that we already know about, his manifesto (via this link) is a frustratingly bland document, short on detail of the institutional reform that FIFA so badly needs. He talks about two term limits for ExCo members and open voting in FIFA Congress. There is the proposal about quadrupling solidarity payments to federations, which is a Blatter-esque gesture. And he seems more willing than his rivals to talk about the corruption crisis and acknowledge the need for a clean sweep to regain trust. But exactly how this might happen still often seems unclear. Frankly, the Jordanian faces a problem over the coming six weeks. In previous elections (2011 and 2015) he enjoyed the strong support of, respectively, Blatter and Sheikh Ahmad, then Michel Platini and UEFA. 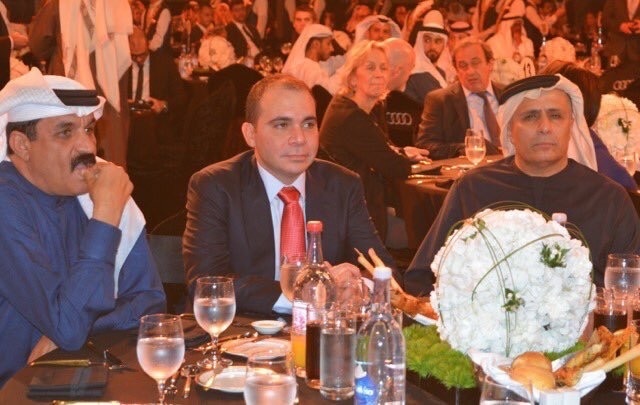 Blatter and Platini (pictured left, behind Ali’s table, at an awards ceremony last month) are history, but Ahmad and UEFA seem to be putting their support behind what looks like a carve up between Sheikh Salman and Gianni Infantino. What is a prince to do? If Ali genuinely sees himself as a change candidate then perhaps he needs to talk more readily about how change might happen. The world might also want to hear a thing or two about Salman’s desultory reputation running the AFC since 2013 and why some of those same characters fingered in the PWC Report still have such prominent roles within Asian football. Few people would be better placed to give their opinion on this than Ali. And then there’s Ali himself; he might be a good listener, but he’s also passionate, a man of action, and inherently decent. Perhaps these characteristics need to be put more on public view. If he doesn’t do these things and energise his campaign, the alternative, as he sets out here, may well be the ‘catastrophe’ he fears. What follows is an edited version of a roundtable given to around a dozen journalists, broadcasters and commentators at London’s Corinthia Hotel last week. The forum lasted for 40 minutes and was unmoderated. Is one of the problems with this election that everyone one will repeat the same sort of buzz phrases about transparency and term limits and so on, and yet we won’t necessarily know who will see them through. How do you combat that from your rivals? Well I [will]! You can take for sure! It’s not just something that I came up with; it’s something I fought for even when I was in the Executive at FIFA. It’s something that I began when I was also in Asia. If you can recall I was the first to really support and have a real proper evaluation of the Asian Football Confederation at the time. And I’ve been very consistent with the positions that I have. But I ran for the Presidency of FIFA and that’s why I’m running right now, because somebody has to take up the fight… You have to have leadership that has the will to do it. It’s not a slogan; I haven’t changed my position in different directions, and I am totally committed to guaranteeing things are done in a proper way. What are the most important additions that you’ve made to this new manifesto? I think that it is based on the original concept. I think also… looking at some of the reform proposals that have come out… I don’t think that they go far enough in terms of where we need to go. I think that the most important thing is to kick off from day one in terms of being open in the organisation and having a full disclosure. And only by doing that can you go back to sponsors and other stakeholders to say ‘Look, we are in the right direction.’ But again, I was a little bit concerned about the way that the reform proposals were conducted. I’ve seen so many proposals in the past, it really is about just a common sense way of dealing with any organisation, which should be up to the standard of worldwide values. Have you had any sponsors reaching out to you during the second campaign? What have they said? I’m my own person, and I think that people do understand where I come from; they know my values as well. But they do need to feel a sense of confidence, and that’s the reality that we need to implement in terms of leadership of the organisation…. I’ve been talking to all stakeholders again, confidentially and quite publicly. I think everybody needs to know what direction we’re going into, and that includes all stakeholders, for example clubs, including the leagues, and including others. I just came from a meeting this morning with [British MP and #NewFIFANow founder] Damian Collins for example, to talk about where we’re going in the future. He’s been very vocal about what needs to happen at FIFA. But it was very refreshing to see that so many of us think in the same way. One of the reform proposals was to replace the ExCo with the expanded FIFA Council to take a stand back role. You refer in your manifesto to this as the Executive Committee which suggests that you’re still happy with that format. The reform proposals were for term limits of three terms, whereas you prefer two. Could you expand on this? I think certainly a two-term limit is critical for the President as well as members of the Executive Committee, or the Council. I’m not so sure exactly what it means; there’s so much that’s still up in the air when it comes to these reform proposals. But again it’s irrelevant if there’s not a change in leadership that is willing to implement what needs to be done. In terms of the term limits two is enough; you have to be hardworking, and that includes the President. You’re not a national association President where you’re working with your teams, with your clubs and so on; you have to be dedicated, to roll up your sleeves and work on the ground for the benefit of 209 member associations. And you have to have the energy and the ability to do so. Before you go on to talk about the Council and Exco, does that mean you envisage being the Executive President, rather than just Chairman of the Board? You have to be a hands-on President, but with clear rules in terms of having a proper CEO, Secretary General and so on. You do need to have proper leadership for an organisation, and somebody who takes responsibility, which is not what we’ve not seen in the past. I’m critically concerned for the future. And I think that’s what’s expected, especially at this critical time, from all the stakeholders in the game that in order to bring the organisation back on the right path. Can you identify the potential CEO? I’m talking to a lot of people. I think that there is a lot of people within FIFA itself, within the organisation, and I’m sure that a lot of them will be happy to be finally be able to move on in a positive direction. And there are so many people around the world who are part of the game and who can really contribute to how FIFA is run. So you wouldn’t rule out the CEO as coming from within FIFA? I’m looking at options, obviously, and it will be based upon the ideas that we have. 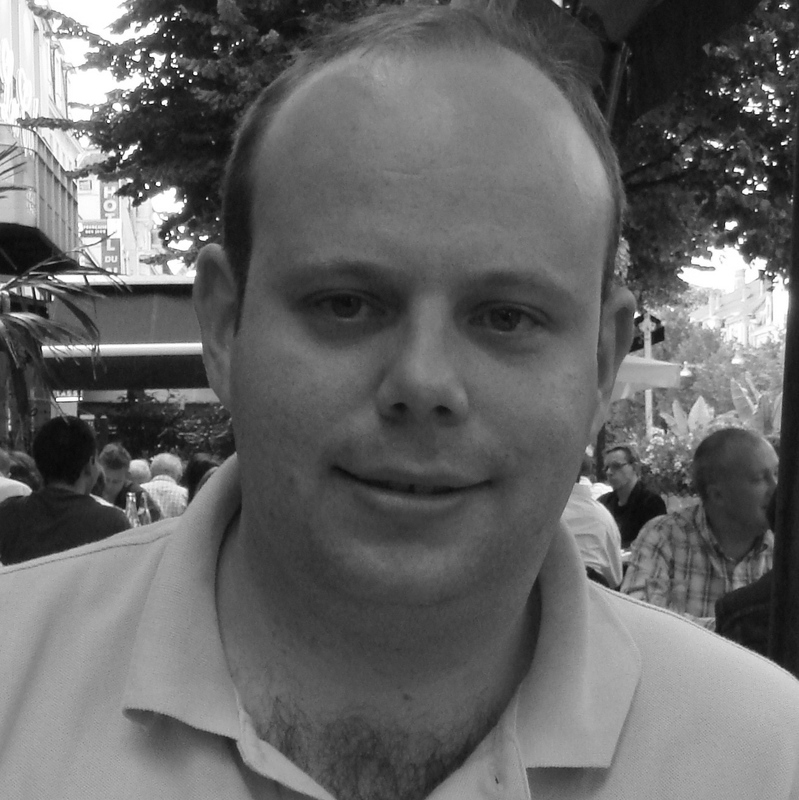 We need a fresh new outlook for FIFA, and we need physically to have people who care about the game, who have the best reputation, and who are ready to really crack on with a very tough job, but one that is doable, and that we need to do it immediately or within a short period. You are now setting yourself as a clear contrast to Sheikh Salman who says openly ‘I want to be hands off, I don’t want much power’; you say you want power, does that now mean we have some alternative visions in this election? If you are the President of an organisation you have to take responsibility for that organisation. I’ve seen in the past in FIFA this whole idea of blaming others for what happens in the organisation; so I don’t want this organisation to go through a new level of irresponsibility. You have to be responsible for it. From a practical perspective, we have the extraordinary congress, will the reforms be voted in before the President is elected? If that’s the case will you not be working the system in which the President’s powers are muted anyway, and how will you implement what you want to implement if you are a muted President that comes into office? I think that obviously that is the plan, from what I see, that they want to implement these proposals before the actual election. But bearing in mind there is another congress a few months down the line, and to be honest the only way to implement the change is to implement the change on the ground. So whatever proposals are made, and they are very vague I will be honest, in terms of how things are done, and we need to make it much more concrete. So I’ll work to make sure that they are real concrete reforms that are needed. But if the congress votes say, an hour before the President, and then vote in current reform proposals which differ slightly from what you want, how are you going to change them to your own vision? Will you be stripped of too much power to be able to do what you want to do? I think that obviously you have to get in on the ground. Let’s be honest here, nobody knows what is really going on inside FIFA until you have a new President. And so the first thing I will do is to really look into how the organisation is run and then present… I need to know financially what’s happening in the organisation. For example, I’ve called again for the immediate release of the Garcia Report, the reason being that myself as a candidate, I don’t even know what happened. And we need to know what happened within that report prior to the election. So there are lots of things that need to be done. We also have other proposals that were made; there were Domenica Scala’s proposals, and others, and we need to really package what is best for the organization. Another thing with the reform proposals, at one stage they were talking about, or discussing the idea of additional places for the World Cup, and what that has to do with reform I don’t know. But again, you don’t want to make the same mistakes that were done in the past; we have to know how to do a proper bidding process, and have a lot more of an in-depth look to how we develop it. What’s the difference between the already agreed change to the bidding process and what you say of the World Cup in the manifesto? I’ll be getting all the stakeholders involved when it comes to something like the World Cup. I’m for expansion, for sure. You say a revised bidding process, which ensures a fair and ethical vote – but that’s already been agreed. But it’s more about implementation. We’ll go to Congress to decide upon. But what’s more important is the evaluation team that goes to countries. So you base the decision on the World Cup on what their recommendations are. And I think that’s specifically where it has to go, and we will look at different ways of having that. I don’t think that it’s correct for Executive Committee members for example to be travelling to those nations and having happen what happened. Damien Collins is one of those people who would like to FIFA disbanded and built anew. Do you in any way envisage that that could possibly happen, because who, and how, would a new world governing body come into existence if FIFA was to disappear? Again, you’re still going to have the same 209 member associations under those conditions. But I think, and after my discussions with Damian Collins and with others, I think everybody recognises that this is the last chance, the last chance in February to get it right, otherwise, yes, things will happen maybe in a different way. We don’t want the situation where two years down the line or a year down the line, again, more scandals come out. But I’m determined that we save FIFA, and do it from within, and there’s a lot of good people around the world who want to have a good, strong and solid FIFA; I’m one of them. But again it is critical what happens in February. Obviously you’ve said many times that you’re in favour of the World Cup going to Qatar, but given that history shows the only time – I think – that the evaluation recommendations have not been followed up was with Qatar…..
That’s why I’m saying we have to have a full publication of the Garcia Report to know what happened, and that is critical right now for the future. Do you think the Garcia Report gives the answers that people want, given the climate in which it was written? If it doesn’t, will you commission a second report that is genuinely independent and not under the guidance of a discredited regime? I think that Garcia, he did his job, but again it has to be published. We have to see what it’s about. And the important thing for me is also the future and to make sure that we don’t create, or have any more mistakes or problems, especially when it comes to something like the bidding process. You said it could be catastrophic for FIFA if it chooses the wrong president. In what way would it be catastrophic, and which of your rivals would give you most concern? Without getting into any other candidates, I know, again, what I’m about, what I’m focused on, in terms of my reputation, the way that I’m conducting myself and have conducted in the past in this campaign, and also the commitments that I have. I’ve been talking directly to national associations about that, and it’s very clear where I stand in terms of where we need to take the organisation. So therefore if it’s not done this time, if we don’t win this election in February, and if we continue to have problems in the future I think it will be a real catastrophe for the organisation; it’s as simple as that. The implication is that your rivals aren’t interested in transparency and it’s just lip service? I’m stable in terms of what I see as the future of FIFA, someone who changes minds, depending on the situation. And for national associations around the world they do want stability. They want to know they have someone who will implement, and who is a straight person and will deliver. It’s very important to have a stable future for the organisation. Are you worried about the AFC/UEFA collusion or a stitch-up? Again, I’m focused on my own campaign, and I do have broad support from all the different regions in the world, and I want to build on that. This is an election for the President of FIFA, and I’m all for the unity of the organisation; I think that it’s wrong to have what things have been done in the past, whether it’s divide and conquer ideas…no, you have to be able to represent all 209 [member associations]. And each one has the right to vote for who they want without pressure. We’ve not seen you since Sepp Blatter was banned. Can you now reflect what you think on how how much damage Sepp Blatter has done personally to football? I’ve been working for football, from being a National Association President to my experience in the Executive Committee for four years, and again the reason why I ran is because I do believe that the whole entire footballing world deserves a new way of operating in terms of governance of the game. It’s not sort of a slogan to say that we are unlocking doors and open the windows; it’s a reality. People want to know what’s happening in this organisation and they want to have confidence in leadership, and a leadership that does take responsibility for what happens within the organisation. Personally, we need to have a whole new style of operating; we need to be much more dynamic. I’ve seen it so often, if somebody is doing a good job for example, they get put on the sideline. If people are doing a good job and showing initiative, you reward that, you support them, and you be creative, in terms of your style of leadership. That has not been the case. What was your reaction when you discovered this payment that had been made from Sepp Blatter to Michel Platini? Everything has to be obviously on the books. In this day and age to have an oral agreement is totally irresponsible. Regardless of what happened I think that’s the main issue, is how business is conducted. You have to be open; it has to be accountable. And that’s why, for example, I’m saying a full disclosure of the President’s salary, Executive Committee salaries, it has to happen. That’s just the normal way of doing business. Does it say quite a lot that that neither of those individuals see that they have done anything wrong? Is there a possibility now that people who might have said ‘We like what you’re doing but we’re going to vote for Platini’ might now actually come across? I’m not going to speculate on that. Again, it’s difficult to explain right now. Also I’d like to leave it up to national associations to decide if they want to be open about what direction they’re taking. So I’m not going to get into that. Without identifying your supporters, what sort of pledges have you had for people to vote for you? I’m not going to get into that right now. But I am discussing with national associations across the world. Again, it’s up to them to decide if they want to go out publicly. I’m here for example in England; I am seeking the support of the FA as well as the home nations. I think that that’s critical, and I think there is a moral aspect to English football and the positions they’ve taken in the past, and I really would be keen on getting their support, critically, at this stage, as I had in the last election. What’s been the biggest difference between you campaigning and going round the world this time compared to last time? Has there been a change in attitude towards FIFA in this campaign? I think that there is just a feeling that there is a weight lifted, that people are able to express themselves more clearly, more openly; there is a debate going on and that’s a positive sign. But also worldwide there is this real feeling, which is what I’ve received from different parts of the world – from Africa – people really want to be proud of wearing the FIFA badge. I think that the public opinion within their own countries is so negative, and they are lumped with what’s going on, and they realise and recognise that we have to have that positive change. Have you spoken to the FA about their previous pledge to Platini, and have they expressed any support? Yes, I’ve been talking with the FA. I’ll be meeting with Greg Dyke in the next few days. I’ll also be meeting with obviously the representatives of Scotland, Wales and Northern Ireland as well. Is there any sense that their vote is up for grabs? I think the important thing is what England stands for right now. I think that in the past sometimes there was a feeling that what England says, or at least that what was portrayed by others, that it’s somehow bullying but that’s not the case at all. People around the world respect England and English football in particular, they’re the fans of the Premier League, and they want to know that England cares about the future of FIFA. That’s very critical in how they will go in the future, and I would like to obviously gain that support. How do you feel about transforming FIFA’s image? No matter who the President is, no matter which reforms are passed through, there are vast swathes of football fans who would now consider FIFA to be corrupt for the rest of their lives, particularly younger generations, people who perhaps don’t read newspapers, pay that much attention to what actually happens within FIFA. How do you reach out to those people and convince them that FIFA is, as you say, something to be proud of? It is a big challenge but I think if we work from day one, first of all, seeing what’s happening inside the organisation, revealing what’s going on, being open about it, it’s only then that you can go and approach for example sponsors and the different stakeholders and say, look, this is what we’ve done, and this is what we’re doing, and have confidence, have faith in us. People want to; football is football. But it is critical to get that governing structure operating in the right way, and I don’t think that anybody is against FIFA for the sake of anything other than the desire to have a real proper governing body for a sport that everybody loves. And then we can really work on football, which is the critical issue here, and developing the sport across the world. And there’s so much that can be done with football and it’s a real shame that things have been the way that they have. Do you have an opinion on whether the payment by Blatter to Platini was a bribe to secure his election in 2011, or whether it was a simple administrative oversight? That’s a question you can ask Blatter and Platini. A lot of these things, call for reform greater transparency and so on, we talked about within the context of the AFC three or four years ago, what do you make of Sheikh Salman’s efforts to renew the AFC since 2013 when he became President? You now see many of the old things and many of the same people as when Bin Hammam was there; TV contracts, for instance, being awarded without tender to the same company. What do you think about that? You must have an opinion? What I will tell you in general, and something that I’ve learnt unfortunately in FIFA and the footballing world is that promises that are made beforehand are not often seen through, and I want to be the catalyst to change that. Is that also a fear that on February 26th promises made might not be fulfilled? Well, I will fulfill promises. I think that’s what the footballing world deserves. We have to do it.